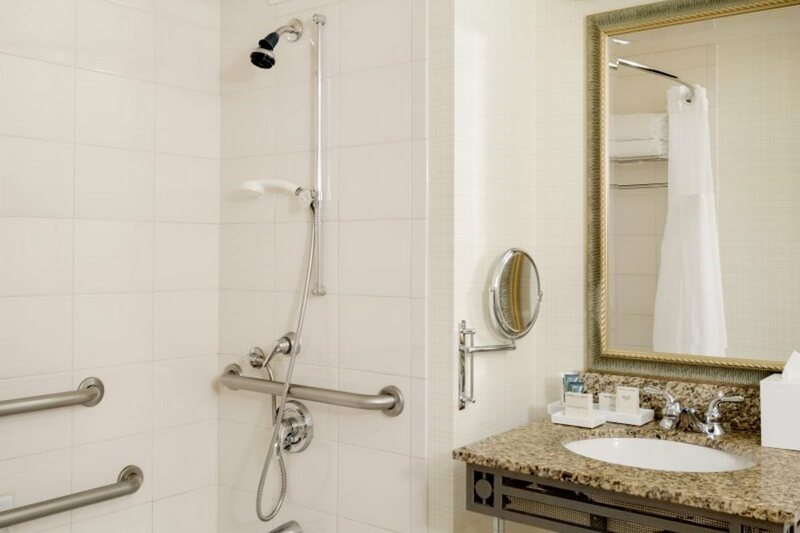 This mobility accessible standard suite features one king-sized bed and an accessible tub. 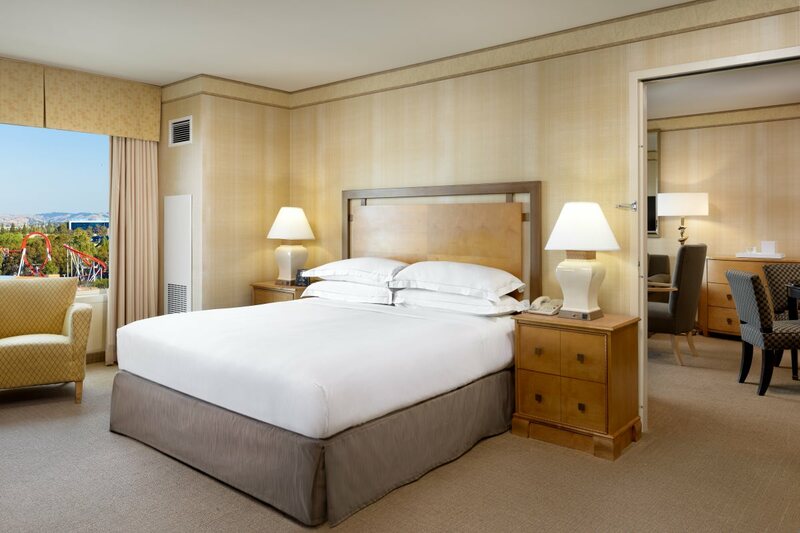 We offer a variety of suites that are well appointed with all the luxury and amenities you expect including living room with sofa, wet bar, dining table, and separate private bedroom with luxurious bedding with pillow-top mattress and crisp linens. 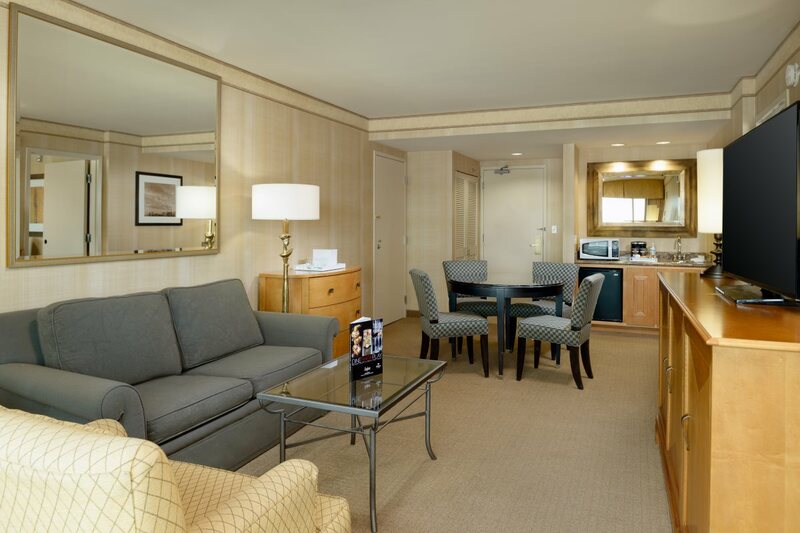 Our popular one-bedroom suite with king-sized bed offers 716 sq. ft. in an expanded layout, ideal for intimate gatherings or small business meetings. The decor incorporates a sense of comfort and elegance with honey-colored wood accents. 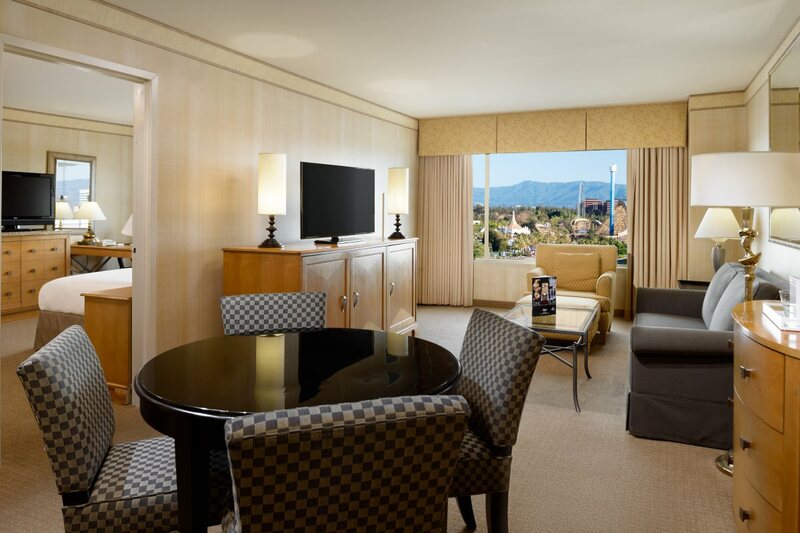 Both the bedroom and living room feature a HD flat-screen televisions with premium channels. 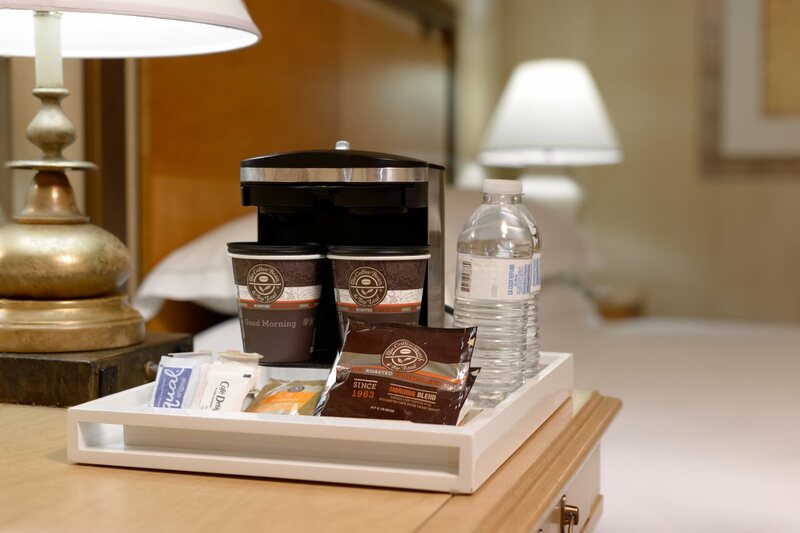 An efficient workspace is provided with ergonomic chair, extra outlets and complimentary internet access, laptop safe, coffeemaker with complimentary coffee and tea. Serenity marble accented bath featuring designer bath amenities. Any corresponding photo may not reflect the specific accessible room type or room feature.